The OLIWA Shopping Center is located in Gdansk Oliwa, 309 Grunwaldzka Avenue, on the main traffic artery in the vicinity of the University of Gdansk and the office complex „Alchemia”. 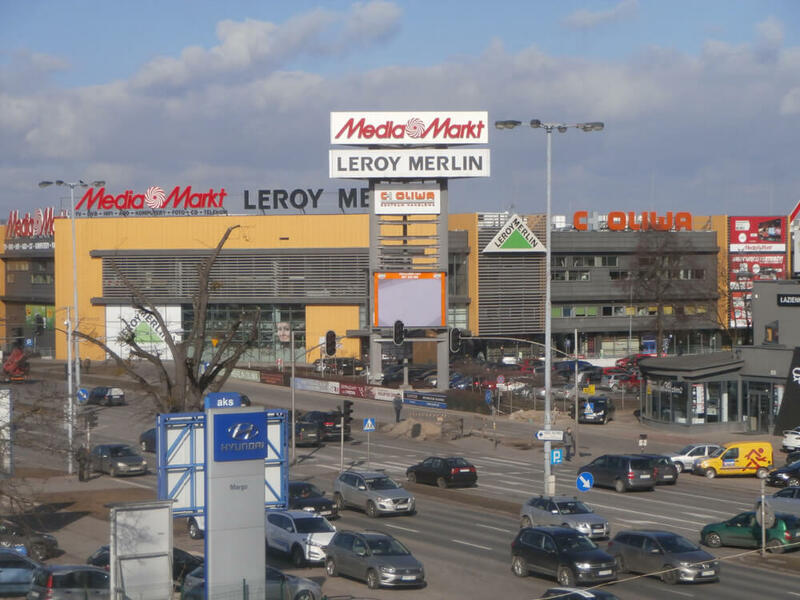 On the ground floor LEROY MERLIN – market of building materials and home furnishings, Promes – Currency Exchange, Fornetti Bakery and Petrus Jewelery can be found. On the first floor is MEDIA MARKT – market of electronic devices and household appliances, as well as offices, shops and service trade . These are: “Perfect Construction” – interior design and decoration, “Ebull” – electronic cigarettes, “Omega” – windows and blinds, “Allianz” – insurance, „Art Gallery”, “Memling Security”- security and monitoring, “Easy / Insurance Service” – insurance, “Luxury Dream” – bedding and the restaurant “SET”. We provide parking with 600 places(two hours for free). Internal communications consists of two large elevators, escalators, moving walkways and stairs. The facility is also equipped with all, necessary in modern department store, technical installations.